This camp will be predominantly focused on preparation for IMSA , but 70.3 athletes are welcome to join as well. We will have various assistant coaches helping out, so athletes of all levels are welcome, from professionals to first -timers. This camp will focused on preparing athletes for the World Championship event. 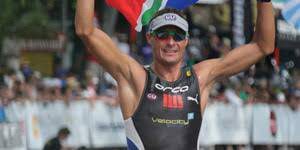 Athletes will be training on the IMSA and World Champs route for both camps, with expert guidance and advice from 8 time Ironman Champion, Raynard Tissink. The base for both camps will be First Avenue Guest House, Summerstrand. We will limit the numbers at both camps to a maximum of 25 athletes. 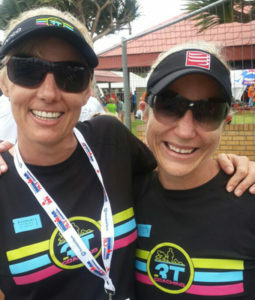 Current Team Tissink athletes will be given first option. Please note this is a tentative schedule and may change or be adjusted, dependent on weather, time schedule and requirements from athletes. If there is anything specific that you would like us to cover, we will happily include it. All coaching, training and racing advice, talks and access to coaches throughout the weekend. All training nutrition for the weekend. Not included – Accommodation, travel to PE, all other meals, drinks throughout the camp. Extras that can be arranged – Massage, and Bike Set Ups. 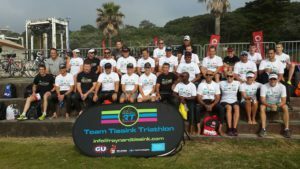 Team Tissink Coaching Academy is made up of Raynard and Natalie Tissink, who jointly have more than 50 years of coaching and racing experience. Raynard started competing in triathlons at the age of 16. He was successful from the start and immediately became hooked on this challenging multi-disciplined sport. 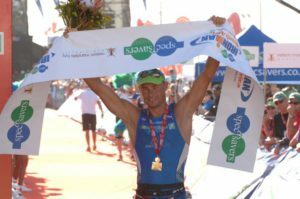 He achieved success in all distances of the race, with numerous SA titles from Sprint Distance, Olympic, Half Ironman, and Ultra to Ironman distances. His 1st Ironman was the Ironman South Africa event in Gordon’s Bay in 2000, where he finished 10th. From there he went on to Malaysia in 2001 and finished in 3rd place. 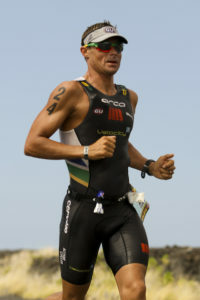 Ironman South Africa in 2001, saw him finish 2nd behind multiple Ironman Champion – Lothar Leder. It was at this race that his immense passion and drive to excel in this challenging sport was fuelled. 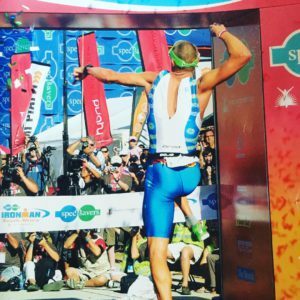 He achieved 8 Ironman wins, 12 further podium finishes and 4 Top Ten finishes at the Ironman World Championships in Hawaii, with his highest placing 5th in 2010. Natalie has been at Raynard’s side since 1994. They were married in 1996 and have 2 children, Kade and Jordi. South African National Colours for swimming and national swimming Champion. If you are interested in joining, please contact Natalie for more info on costs and to book your place.